No one wants to wear braces. We know that. No one ever said, “the years I wore my braces were the best of my life. I just loved my braces.” But there’s no reason that the years you are wearing your braces have to be horrible, painful, or otherwise the worst years of your life. 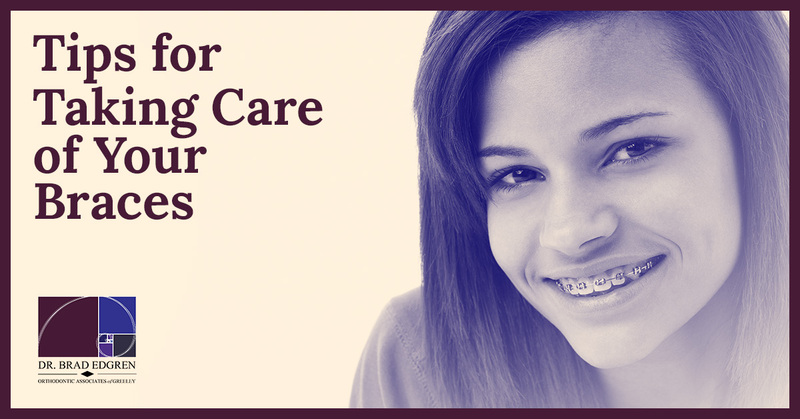 The most important thing you can do to make sure your orthodontic plan goes well is to take care of your braces. 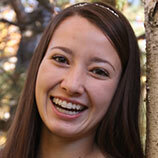 If you or one of your children needs braces, be sure to come to see Dr. Edgren in Greeley for a consultation. 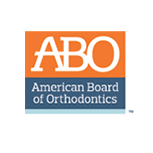 Get all of your questions answered, including what is involved with maintaining your braces every day. Meanwhile, keep these tips in mind if or when you get braces. 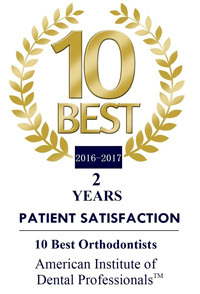 While we try to make your visits to our office as pleasant as possible, the fact is you are coming to see the orthodontist, you’re probably going to have someone’s fingers in your mouth, and chances are, almost 100 percent that you’ll experience some discomfort or pain during your visit. But, these visits are very important. You need regular adjustments. As important, though, are regular checkups to check for cavities and gum disease. You also want to make sure that there are no broken parts and that your appliances are working as intended. You won’t always know if something breaks. And if you don’t get problems fixed quickly, you may end up wearing your braces even longer than you thought. We know, it isn’t easy. How do you get in between all of those metal pieces? You can, you just have to know how. Make sure the dental assistant at your orthodontist shows you how to do both of these things properly. They should have you demonstrate your ability to properly brush and floss. And, don’t be shy. If you get home and end up struggling, go back in for help. And, whatever you do, be gentle when flossing and brushing. You can damage your braces more easily than you may think. You’ve received a list of foods to avoid. It probably includes some of your favorites. Don’t give in to temptation though. The reason you’ve been told to avoid those foods is to make sure your braces don’t break and that your teeth don’t rot. That’s it. Unless you want to increase the chances of your teeth rotting and your braces breaking, just don’t do it. Foods to definitely avoid include anything sticky, like caramels or candy that sticks to your teeth. Popcorn is a no-no. One hard kernel and you’ll be snapping a wire and heading back to the orthodontist. And, while these don’t technically fall into the food category, they are things that get chewed. Don’t bite your nails, chew on pen caps, or give in to other habits that involve chewing on inedibles. You’re just asking for trouble. Follow these tips if you’ve already got braces. 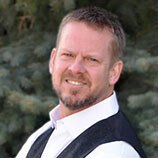 If you or your children need braces, come see Dr. Edgren in Greeley. He’s the area’s top orthodontist. Our entire team looks forward to being of service.